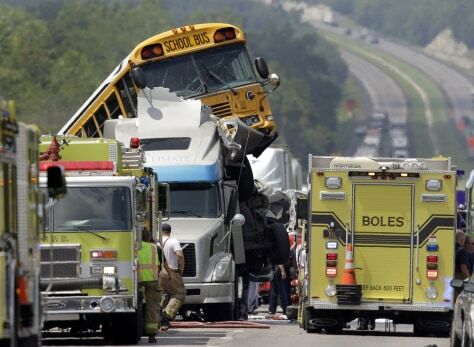 2 killed, dozens hurt in school bus crash in Mo. Rescue crews work at the scene of an accident involving two school buses and a tractor-trailer on eastbound Interstate 44 near Gray Summit, Mo. on Thursday. The school buses were carrying high school band students to an amusement park.